A total of SFr705,000 was raised for Swiss charity Action Innocence through the sale of two unique F.P. 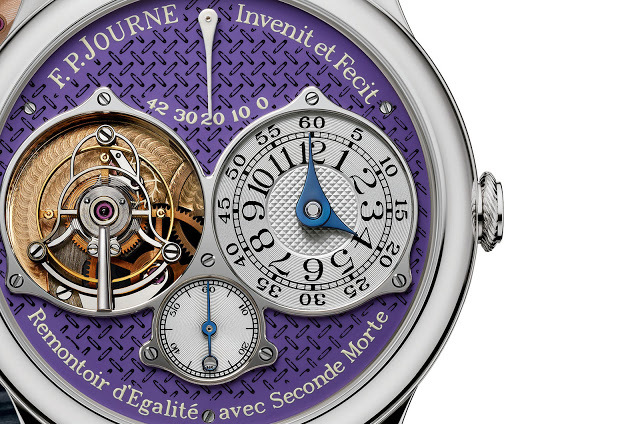 Journe watches, including a Tourbillon Souverain fitted with an unusual purple dial. Created to raise funds for Action Innocence, a pair of unique F.P. 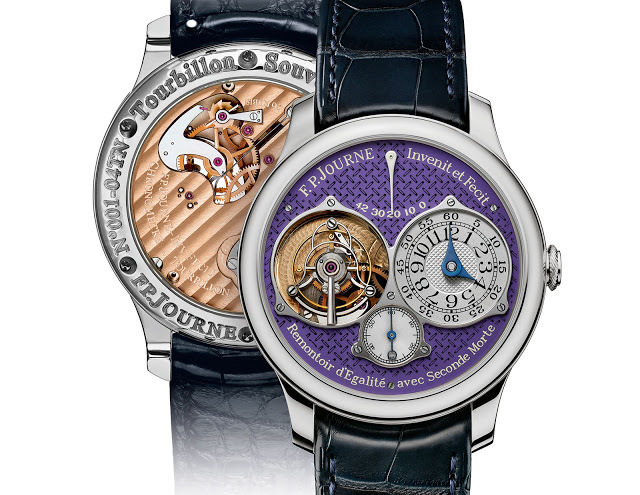 Journe watches sold for a total of SFr705,000, that’s about US$770,000, at an auction a day ago. The bulk of the money came from the SFr650,000 raised by a one of a kind Tourbillon Souverain with a purple dial finished with a crosshatch decoration. The Tourbillon Souverain sold for SFr350,000 to Lebanese gem dealer and watch collector Claude Sfeir, a noted power in the international auction market who was the underbidder for the US$24 million Henry Graves super complication. The underbidder for the Journe, Robert Manoukian, a businessman who made his fortune through deals the Brunei royal family, generously added another SFr300,000 to the tally. And a special Elegante, F.P. 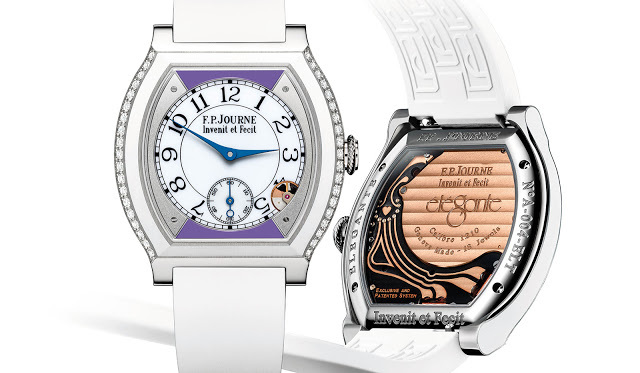 Journe’s clever quartz watch for ladies, sold for SFr55,000. This also features dial accents in purple, the colour of the Action Innocence logo. The proceeds from the auction go to Auction Innocence, a Swiss-Monegasque charity working to “preserve the dignity and integrity of children on the internet”.